This page provides the whole following processes on JA amateur stations. NOTE: We have two kinds of "Ku." 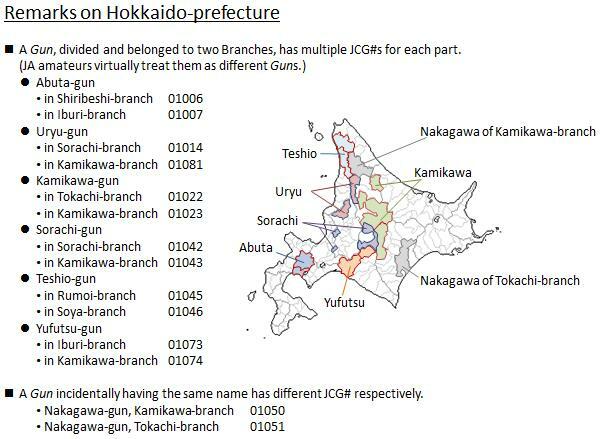 "Tokubetsu-ku," or a "Special City"
It exists only in Tokyo-prefecture. It has a 6-digit number in the range of #100101-#100123. The JCC award rule was changed effective Apr. 1, 2010 (QSO date). After and on Apr. 1, 2010 ... EACH "Sepcial City" is counted as an independent "City," even its 6-digit number. Before and on Mar. 31, 2010 ... all Special Cities were delt as #1001 concatenated. 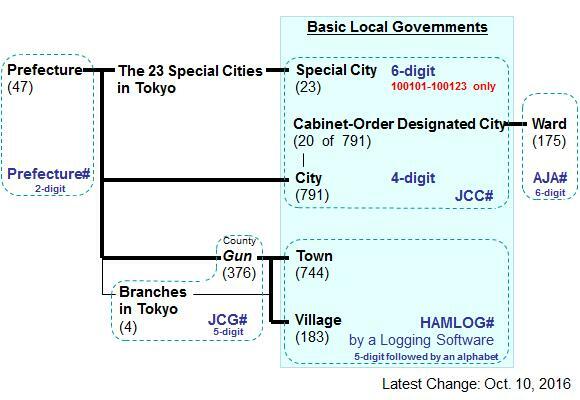 It exists in twenty cabinet-order designated (big) cities — from north to south, Sapporo, Sendai, Niigata, Chiba, Saitama, Kawasaki, Yokohama, Sagamihara, Shizuoka, Hamamatsu, Nagoya, Kyoto, Osaka, Sakai, Kobe, Okayama, Hiroshima, Kitakyushu, Fukuoka and Kumamoto. It has a 6-digit number but OUTSIDE of #100101-#100123 (e.g. #010101, #430105, ...). A QSL card with such a 6-digit number is eligible for the JCC with its upper 4-digit, however the full 6-digit is eligible for the other awards: AJA and WAKU. (e.g. A lazy operator's QSL card written as JCC#430105 is eligible as #4301 for the JCC, and as #430105 for the AJA/WAKU. 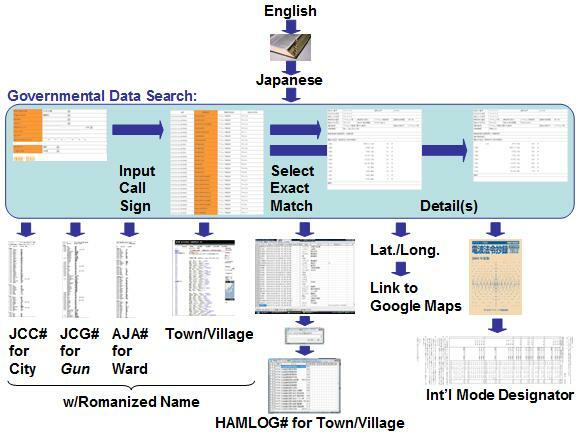 NOTE: JA's Ministry doesn't disclose Licensee's "name" and "street address," due to the Personal Information Protection Law.